There are many reasons a homeowner might require tree removal services; from trees that are dying or deceased to a desire to have less fall cleanup or wishing for more sunlight to the property. The professionals at Arbor Pro Tree Experts are capable of performing tree removal efficiently and timely without causing damage to the surrounding buildings, structures, plants and trees. Proper care and maintenance of your trees is essential in maintaining the look and value of your home, but many homeowners overlook the importance of using professional services for keeping their trees and landscape in good health. Timely trimming also to keeps you and your family safe from potential hazards. By allowing unchecked growth, the strength of the branches may become compromised, leading to falling limbs and potential damage to surrounding structures or even people. For the residents of Beaverton, ArborPro Tree Experts provide services for tree trimming to keep your trees looking attractive, beautiful and most importantly, safe. To help your trees stay healthy and looking their best, be sure they are regularly maintained. 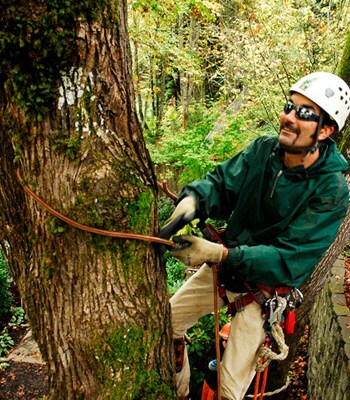 Contact ArborPro Tree Experts today for tree removal and tree trimming services in the Beaverton area at 503-473-8733.